The attic and crawl spaces are not just another neglected area of the house; they are a haven for harmful microbes, pests, insects and small animals. These creatures are definitely having a rooftop party each night as they nibble away at your precious belongings. Your memories, stacked away clothing, fishing paraphernalia, luggage and other stored stuff can be eaten away in a matter of a few days if they are left unattended to you. You need to get the attic and crawl spaces swiped clean of these pests right away, but before that you need to get the area inspected thoroughly to dig out these hidden terrors. We can help you and our skilled teams are offering you a free inspection, call us now, at Quartz Solutions. Small Insects like ants, spiders, and wasps are hungry all the time and they will keep eating whatever they find. The foundation and woodwork of your home is exposed to the teeth of these creatures. Don’t neglect the area, get it inspected, now! These biting teeth eat away into the ducting and they start to leak. The wiring the insulation all can get damaged by the rampage of these creatures. The humidity levels rise because of the dripping ducts and the area starts to breed harmful microorganisms, mold and mildew. The disturbed insulation leads to an upheaval in the temperature balance of the home causing loads of expenditure on the electricity bills. Leaving harmful creatures, freely crawling about in your attic and crawl spaces, exposes your home to health hazards. You definitely need professional help to drive the microbes, pests, insects and small animals away. You can’t do it on your own, as the process requires skilled teams and equipment. To deal with the cleaning, you need expertise and microscopic eyes. These animals often lurk away in corners far away, hidden and immobile. Quartz Solutions can help you, call us right away. 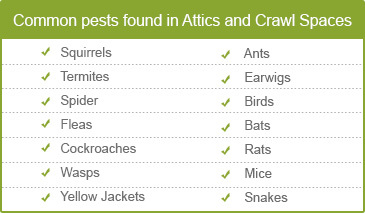 We will search out these pests in your home by carrying out a free inspection for you, call us! You can relax, we care about our customers and will make sure that you don’t overspend. 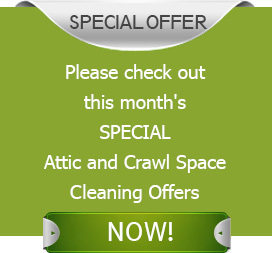 Quartz Solutions need to be your final cleaning destination, we will offer budget friendly packages for your attic and crawl spaces. The Essex Fells is a Borough that is spread out over 1.3 square-miles, and it is unique because of its “no commercial activity” proposal. You won’t see commercial areas spread out all over town, and there are hardly any condos, apartment buildings, malls, offices, townhouses, to be seen. The commercial area is a restricted region and Essex Fells is home to about 2119 people.